Someone in my building had this crazy idea of throwing away a John Hare watercolor. It is titled A Cape Cod Harbor and was sold by Doll and Richards in Boston with the no. 51297 according to the back of the frame. Looks like this is John Cuthbert Hare, (1909 - 1978). He was a well known Provincetown, Gloucester and St. Augustine. Known as the dean of watercolorist on Cape Cod, his works have lately become highly coveted. He had exhibited at one time with the Munson Gallery. Resided in 1939 in St. Augustine and was one of the Art Club members. 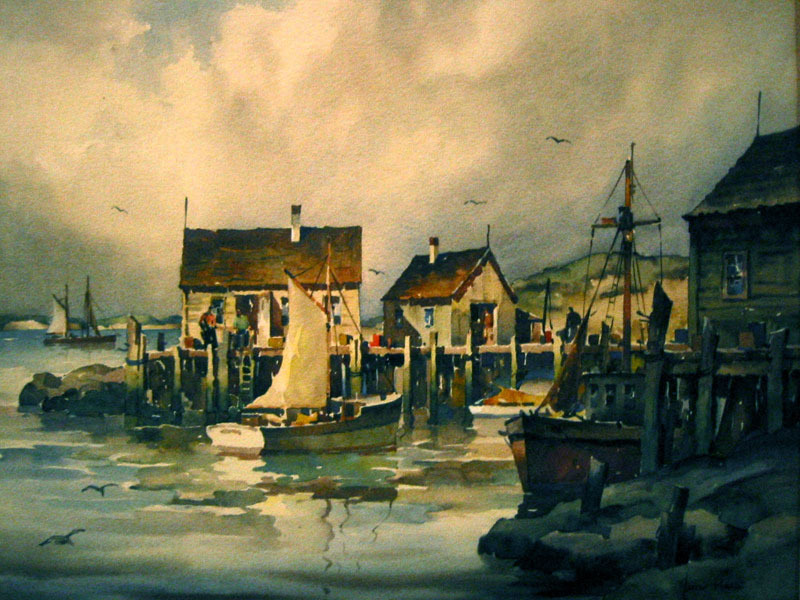 John Hare, Cape Cod Harbor Watercolor was published on January 15, 2003 .